Amelia Branczik joined Crisis Group in June 2008 and manages the Brussels-based research unit, supporting Crisis Group’s field research and advocacy on policy and thematic issues and producing the monthly CrisisWatch bulletin. Before joining Crisis Group, Amelia spent three years at the World Bank, where she worked on agriculture and rural development projects in the Western Balkans and co-authored books on rural development in the Western Balkans and the distributional impact of power sector reforms in Eastern Europe and Central Asia. Prior to the World Bank she spent two years at the Council on Foreign Relations in Washington DC, working on conflict prevention issues at CFR’s Center for Preventive Action and researching a book about the World Bank. She has also spent time working in Indonesia, Bosnia and Montenegro. 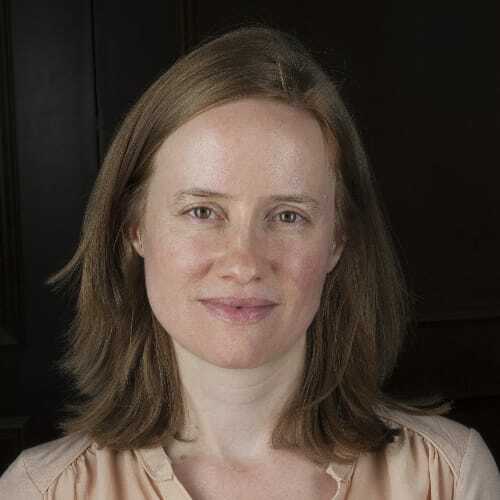 Amelia has a Masters degree in international relations from the Johns Hopkins University School of Advanced International Studies (SAIS), specializing in Conflict Management and Economics, and a Bachelors degree in modern history from Oxford University. The latest edition of Crisis Group's monthly conflict tracker highlights dangers of escalating conflict in DR Congo, Yemen and Bangladesh. CrisisWatch also notes a conflict resolution opportunity in Yemen. The latest edition of Crisis Group’s monthly conflict tracker highlights dangers of escalating conflict in Yemen, Syria and Somaliland. CrisisWatch also notes improved relations between Ethiopia and Eritrea, South Sudan’s leaders, Macedonia and Greece, as well as diplomatic engagement between North Korea and the U.S. The latest edition of Crisis Group's monthly conflict tracker highlights dangers of escalating conflict in Israel/Palestine, Burundi, Central African Republic and Yemen. CrisisWatch also notes improved situations in Ethiopia, China/Japan and the Korean peninsula. The latest edition of Crisis Group's monthly conflict tracker highlights dangers of escalating conflict in Israel/Palestine. CrisisWatch also notes deteriorated situations in Burkina Faso, Taiwan, Kosovo, and Sri Lanka, among others.